Please use this to prevent unwanted dozing. 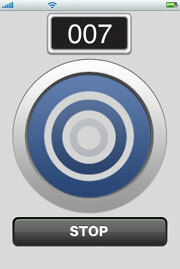 A Doze Signal is the iPhone application that can identify when you are dozing. The Doze Signal can identify when you begin to doze off and signal you by way of alarm sound and vibration if the iphone is in contact with your body. 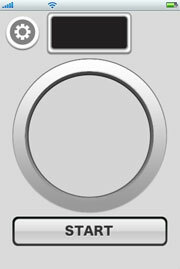 After the start button is pushed, Doze Signal will count 5 seconds and then preserve the angle of the iPhone. 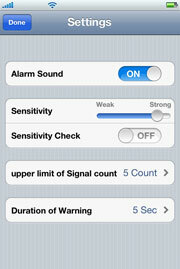 Next, if the angle of iphone changes, Doze Signal will be signal by the alarm sound and the vibration. Moreover, it warns from the number of counts of the signal by the alarm sound and the vibration. Please use Doze Signal with responsibility and be careful not to damage iPhone. When using Doze Signal, please don't test angle of iPhone by dropping or throwing or treating iPhone in any way that may cause damage to the iPhone. The arm is put up, it bends one's wrist, and the iPhone is held in the hand it stabilizes on the table etc. The iphone is in the chest pocket.